An epic space battle from Star Wars unfolds in your room! These Star Wars Classic Ships Giant Wall Decals include the Death Star, a Star Destroyer, X-Wings, and TIE Fighters so that you can recreate an amazing space battle scene on your walls. 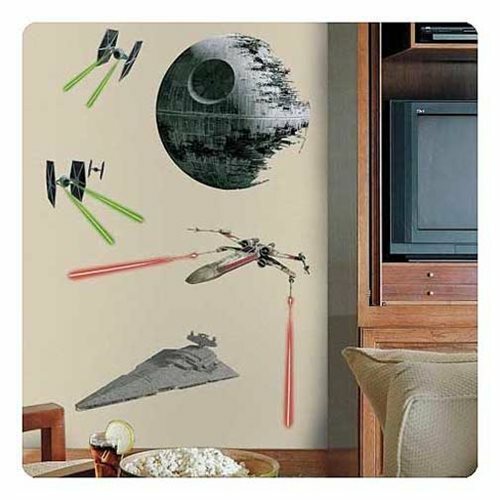 These wall stickers are amazing decoration and must-haves for any Star Wars fan!